HWF is a nongovernmental organization that was registered in Ghana in September, 2008 to further 12-step based recovery. It’s board of directors consists of three addiction professionals and Mr. and Mrs. O’Laughlin. It works closely with healthcare professionals and others who are interested in the prevention, treatment and recovery from addiction in Ghana. Our intention is to assist Ghanaian organizations establish, develop and take ownership of recovery programs. Our two largest efforts in Ghana illustrate this approach. In collaboration with Oxford House, Inc., HWF provides support for Oxford Houses and the establishment of a chapter of houses in Ghana. One such house is for women and children. Secondly, the HWF has an agreement with the Catholic Archdiocese of Accra to manage its treatment facility, the House of St. Francis, for three years ending in August, 2015 when the HSF is expected to be self-sufficient. HWF will assist as needed. A major achievement has been our ability to facilitate people in recovery, professionals and groups of university students and staff to do training and service work in Ghana. We have assisted Ghanaians to come to the U.S. for training. In order to respond to innovative Ghanaian initiatives, we want to form a strong partnership with Recovery Africa. We specifically want to examine the feasibility of establishing a recovery/training facility in Accra. Faces & Voices of recovery believes that all individuals, families and communities affected by alcohol and other drugs deserve universal access to the support needed to achieve recovery, health, wellness and civic engagement. 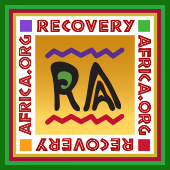 As individuals, we strongly support the work of Recovery Africa and look forward to informing the worldwide recovery community about the organization’s work in Ghana and making connections with other communities of recovery. From 2008 to present, members of the SMC Class of 1963 have been the largest contributors to our recovery work in Ghana. Without this support, it would have been very difficult to establish Oxford Houses as transitional housing and the House of St. Francis. Dan's classmates have been most generous in keeping with the Lasallian traditions of the Catholic liberal arts college that follow in the footsteps of Saint John Baptist de La Salle, founder of the Christian Brothers. The college is committed to "social justice, respect for all persons and the power of education to transform lives". Dan wants to examine the possibility of bringing students from SMC to experience life in Ghana. The Willingway Foundation is the philanthropic arm of Willingway, Inc. Our heritage is helping people and their families who suffer from alcoholism and drug addiction find recovery. Our partners are those who are committed to spreading awareness of the impact of addictive illness and the hope for recovery. Our projects are diverse in objectives as well as geography. We have a meaningful local impact by helping guide those who need it to recovery, and our global work has spawned 12 step and abstinent recovery programs around the world. The Foundation is a non-profit (501c3) corporation committed exclusively to the service of substance abuse education and treatment. Foundation funds are used for development, production, and distribution of educational materials and training aids for counselors as well as for individuals in recovery; supporting treatment centers, and informing the public about the treatment of alcoholism and substance abuse. Joe McQuany was the founder of Serenity Park, Inc. and Kelly Foundation, Inc. in Little Rock, Arkansas. For over forty years Joe devoted himself to helping others discover the joy of recovery through the program found in the original Twelve Steps. Larry Gaines is the CEO of The Kelly Foundation and, Serenity Park, a non-profit treatment facility for chemically dependent men and women. Healing Transitions' mission is to offer innovative peer-based recovery oriented services to homeless and underserved individuals with alcoholism and other drug addictions. The program is specifically designed to rekindle a person’s desire and ability to return to a meaningful and productive life. Recovery Communities of North Carolina’s (RCNC) mission is to promote addiction recovery, wellness and citizenship through advocacy, education and support. In the summer of 2012, individuals in recovery, their families, friends and allies recognized the need to host an event during September’s National Recovery Month. As a result of this grassroots effort, the 1st Annual Capital Area Rally for Recovery was held. While preparing for the 2nd Annual Capital Area Rally for Recovery it was decided that a non-profit recovery community organization should be formed for the purpose of sponsoring the annual rally for recovery, as well as other recovery advocacy efforts. By the spring of 2013, Recovery Communities of North Carolina, Inc. (RCNC) was founded and quickly joined the national recovery advocacy movement by becoming a member of Faces and Voices of Recovery‘s Association of Recovery Community Organizations. The Books For Africa Library Project was started in 1997 in Copley, Ohio by Kirt and Hilda Bromley. While Mrs. Bromley was recovering from brain tumor surgery in 1996, she received a call from God; "Go build me a library". Since her faith in God and His goodness and love for her had grown tremendously during her recovery, she responded immediately to God's call. That year with God's help the Bromleys collected 3000 books and the money to ship the books to Ghana. In the spring of 1997 Mrs. Bromley traveled to Ghana to collect the shipment and set up the library in Kukurantumi. However, it soon became apparent that the proposed building to house the books was too run down. The Bromleys donated their savings of $8000 to supervise and to construct a library building with benches, tables, chairs shelves and electricity. A librarian was trained, and the books were catalogued and shelved. The place was opened for use to everyone in town for free. Leonard A. Jason, PhD, Professor of Psychology, Director, Center for Community Research, DePaul University. My group at the Center for Community Research continues to be very interested the development of Oxford Houses in Africa. In the qualitative article that we recently published on the Oyarifa Oxford House in Ghana, our results suggested that the house was functioning fairly well at the time of the interviews. Most residents expressed satisfaction with their experience in the house and their progress on their efforts to recover from substance abuse. You folks are now building a sturdy foundation for the spread of these homes into other areas, and the needs are great as we know. Our group does basic research, and we continue to be available to help out in studies and to support the development of possible grants in the future. Some of our prior work is summarized in the book that we published a few years ago, Rescued Lives: The Oxford House Approach to Substance Abuse. We believe that the work you are now doing in Ghana will become a model for all of Africa, and clearly dealing with the economic issues of jobs to pay for rent is a challenge that is unique and will have to be dealt with. Georgia Southern University has brought students in long-term recovery to Ghana in the summer of 2012 and 2013. The aim of the GSU study abroad students in long-term recovery is to exchange experience, strength, and hope with Ghanaians and gain insight and experience working within the international public health sector. The students who have returned from Ghana have been forever changed because of their experiences, and they often have the resources to increase awareness of the lack of resources of those attempting recovery from alcoholism and addiction in Africa. Thomas G. Kimball, Ph.D., LMFT, Associate Professor, Director of the Center for the Study of Addiction and Recovery. In May of 2012 and 2013, I, and others of our staff, accompanied a group of students in an effort to provide service work to the recovery communities of Accra and the surrounding areas. Our initial visit was almost three weeks with the purpose of meeting all of the players, providing an experience for our recovering students in Africa, and doing service with organizations who needed us. For almost three weeks, we worked closely with Dan O’Laughlin, the Hopeful Way Foundation in coordinating the trip. It was highly successful. Our second trip, May 2013, was more recovery and service oriented. Our students spent time at the Oxford House, the House of St. Francis, and with Chosen Rehab working directly with staff and clients providing treatment and recovery services. We also offered support to recovery meetings in surrounding areas. Both trips were successful experiences for both our students and I believe for the Hopeful Way Foundation.